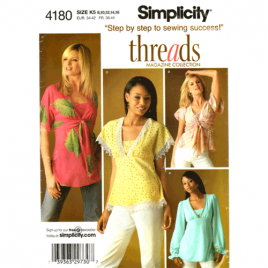 Simplicity 1461 tunic top sewing pattern in sizes 10-18. 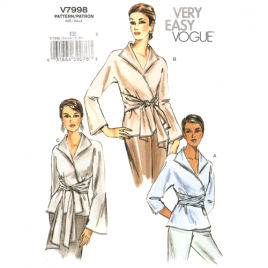 Butterick Retro wrap top pattern - 1944 reproduction in sizes 12-14-16. Uncut. 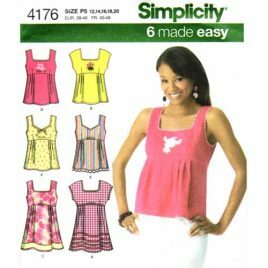 Empire style top with sleeve variations in sizes 14-16-18-20-22. 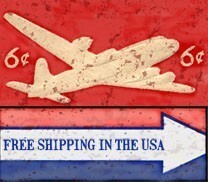 Uncut. 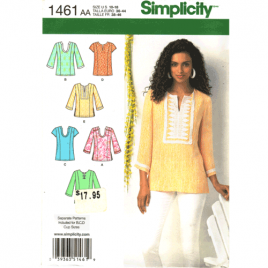 Pullover tunic or top with neckline variations in sizes 12 - 20. Uncut.